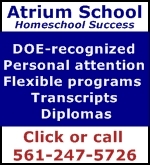 Homeschooling through a private school provides support and services to homeschooling families. In Florida, schools that enroll homeschooling families are sometimes called umbrella schools or non-traditional schools. The Florida private schools listed below all offer a home education option. Click each school’s name to visit its web site. Does it sound like a good fit? If so, call the school to determine if its philosphy and requirements are the right choice for your family. Want to add your school to the list of Florida Private Schools for Homeschoolers? Please email us at info at florida-homeschooling dot org. A non-profit K-12 private school that supports independent education. AEI supports all types of learning. There is no required curriculum. Families are solely responsible for directing the child’s education. A DOE-recognized private school that offers two distinct programs so that families can select the level of support and guidance that’s right for them. All faiths and teaching styles welcome. Enrolling statewide. Cheerful Heart Academy is private school serving as an umbrella for home educated students in the state of Florida. Enrollment is open year round. A K-12 private school offering a non-campus umbrella program to homeschoolers. K-12 Private School for homeschoolers enrolling statewide. Ministry of Landmark Baptist Church in Haines City, Florida. 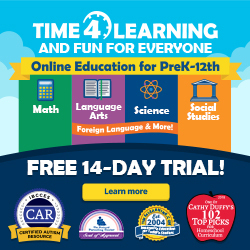 K-12 private school providing/requiring it curriculum.